Welcome to Jan Parker Arts Glass! 2008 will be an exciting year for JanparkerArts. 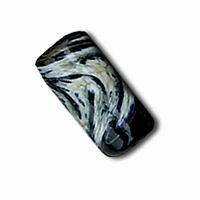 New beads and products are posted now. It is holiday sale time! - thanks for your support. I've been making zipper pulls lately and folks are loving them. Perfect for a jacket, on a suitcase or on your handbag. (I'd buy several if I were you and give some as gifts)! 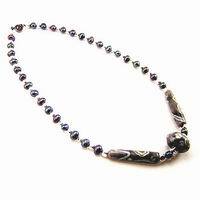 Another big seller when I travel is just a single bead with a silver chain. Send me an email and I'll help pick one out for you! Please enjoy my collection of beads and special bead items. Making these beads reflect my passion for creating smiles as well as unique handmade (by me) one of a kind gifts. I think you will find the perfect hard-to-find item for yourself, your employees or customers, as well as your best friend in the world. I am a Self Representing Artist, the only slave labor in these pieces is my own. 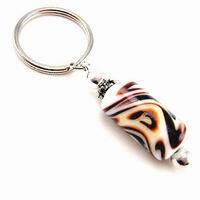 These paper beads are made by local women�s groups to support their families and communities in Africa. 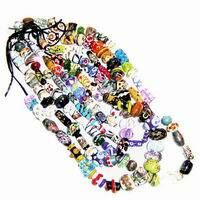 I want to offer this link since if you are reading this, you may be interested in all kinds of beads. Shop here! I want this site to be one of your favorite places to shop and I want to you to love what you buy. If for any reason you are not happy with your purchase, send it back within 30 days and you will receive your money back. Enjoy browsing through this site. I'm hope it will make you smile. I make each bead with joy in my heart. 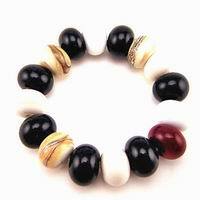 Come back to this site often as new bracelets and baubles will be posted often. Keep coming back there will always be lots of new and bright baubles. 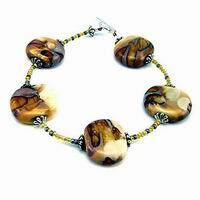 Make a bold and powerful statement when you wear one of these glass bead necklaces. They are stunning, artistic and distinctive. When I wear them � all I hear are oohs and aahs! With all the typing and work most of us do on computers every day, writing with a pen becomes a special occasion. 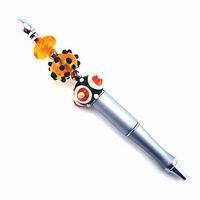 Make it even more so as you sign your name or write your story with these unique and beautifully made pens. 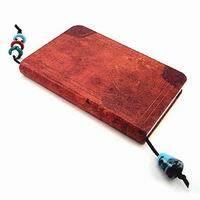 The perfect gift for the person who �has everything�. Buy one to give and one to keep. My friend Mary Lynn wanted her key chain to be easy to find when she reached in her purse. 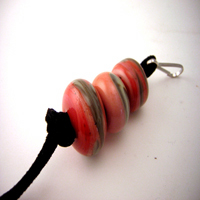 Bright, colourful and bumpy, glass beads serve this purpose. And who doesn�t love a new reason to buy a glass bauble! If you are a glass bead collector or just like to give and receive special surprises each month, the bead of the month club is for you! 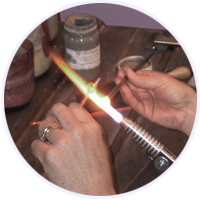 Join now and you will receive a unique, handmade glass bead made with love and joy, by Jan Parker each month for a year. Zipper pulls! These are perfect for a jacket or suitcase adding functionality and style. 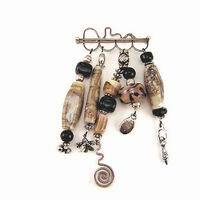 Every once in a while, I�ll put together some loose beads ala �grab bag� style. No promises on colours or shapes, but I can say they will be treasures. 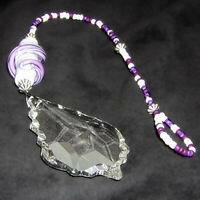 Each bag of mixed beads will have between 10 and 20 beads in it.